In this program you will hear some entertaining stories that are both compelling and thought provoking - and they are for Amercians of all ages. 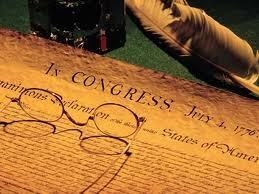 Will take a look at the 56 men who signed the Declaration of Independence and the vow they took. You will also hear the story of Nate - a man who not only saw his duty - he did it.